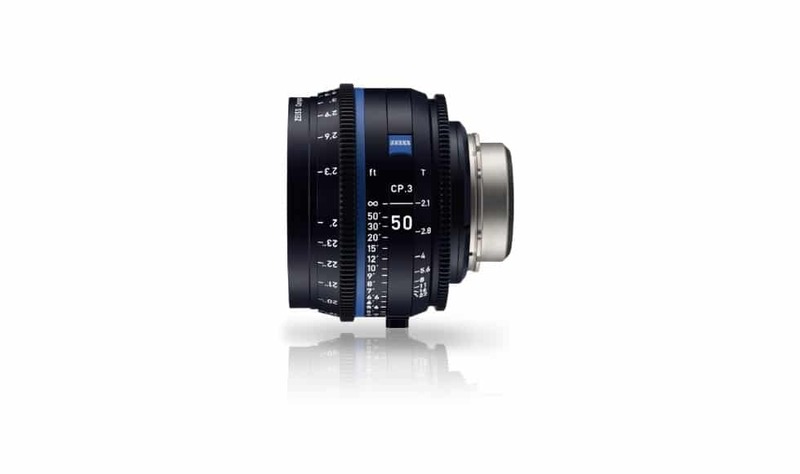 These professional cinema lenses have smaller and lighter shells than their earlier CP.2 versions. They feature consistent 95mm outer diameters, and a new focusing mechanism for a continually smooth feel, no mater what the weather conditions. The new CP3 lenses are now all “full frame” (they cover the 35mm stills format, 24mm x 36mm, with a 43.4mm diagonal) and maximum apertures are now more consistent. The 15mm, 18mm and 21mm focal lengths open to T2.9 and focal lengths from 25mm and up now open to a fast T2.1. The eXtended Data technology is based on the /i* Technology. I furnishes information about lens distortion & shading in real time. With these lenses, even quite small shoots on a limited budgets producers can get access to cutting edge techniques used in state-of-the-art, major Hollywood features, big budget commercials and Network TV shows. limited production budgets can gain access to the advanced techniques common in state-of-the-art, big budget films, commercials and television shows. Provides valuable information about the lens’ distortion and shading characteristics in real time to speed the workflow on your set and in post. Complete record of the lens’ characteristics increases creativity by letting the DP reserve more complex shots for more detailed processing in post. From 15 mm to 135 mm, there are ten focal lengths now available in the CP.3 or CP.3 XD series which cover all applications from wide-angle to telephoto uses. The lenses sport advanced coatings, painted lens rims and ingenious light traps situated within the barrel to eliminate veiling glare and lens flares. This produces higher contrast, darker, richer blacks and more deeply saturated colors. Color matched, they cover full-frame over the complete range of focal lengths from 15mm to 135.